In another embarrassing episode of last minute rush by political office holders to get the support of the masses ahead of 2019 elections, dividends of democracy for the citizens has been reduced to its lowest and most despicable form. 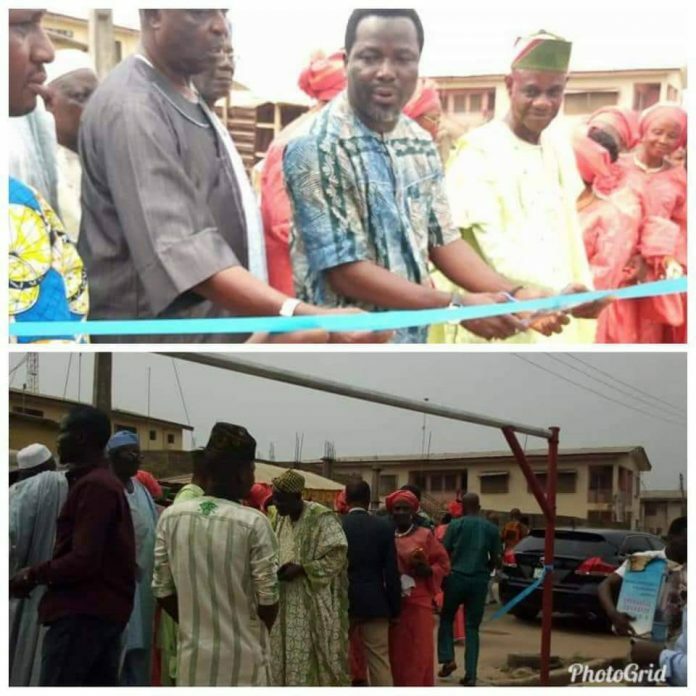 The member representing Abeokuta South Constituency II in the Ogun State House of Assembly, Hon Idowu Olowufoja recently commissioned a security bar in his constituency, much to the consternation of his constituents. Having accrued so much money since inauguration as a member of the House, a security bar was what he deemed fit for the people of Abeokuta South Constituency II to get in return for their votes in the next general elections. We were unable to reach him to respond to this story.